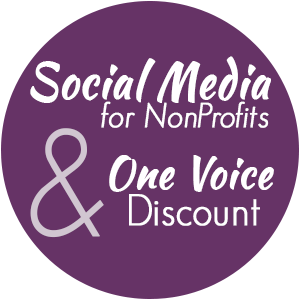 Social Media for Nonprofits & Special Offer! Thank you to One Voice for Volusia for allowing me to be a guest speaker at this month’s One Voice for Volusia Coalition meeting! It was great to see so many familiar faces and meet so many new people! Unfortunately, there never seems to be enough time to go over everything. So, we would like to offer this presentation to those interested. As an added bonus, we’re throwing in a 10% discount on your first order through us! We hope you enjoyed today’s presentation and that you learned some great tips to help your nonprofit thrive! Please fill out this brief form to receive your presentation and/or discount. This entry was posted in Resources and tagged coupon, discount, nonprofits, one voice, presentations, resources, social media. Bookmark the permalink. ← Promotional Products That Get Noticed!